The oldest university in the world is not Bologna! Leave a Comment on The oldest university in the world is not Bologna! Universities today invoke a certain image. They are considered institutions of higher education, helping students develop mastery in any one of many diverse fields of liberal arts, science, engineering and medicine. Typically, it tends to be the alumni of prestigious universities that become the administrators and leaders of government bodies, political parties, not-for-profit organizations, the military, the judiciary, religious institutions and companies. In a modern society, an educated population is the foundation of economic prosperity, international competition and national security. The most prestigious universities are coincidentally universities located in the top 10 richest countries. Quality is judged by the number of international awards collected by the staff of universities, the career prospects of alumni, the people of note in the alumni network, international appeal, online and distance learning facilities, inclusivity, social responsibility and physical facilities; with the United States producing the top three most prestigious universities: MIT, Stanford University and Harvard University. It is hard to imagine a different function for universities. It is easy to imagine that universities have always had this role in society. It is also easy to imagine that universities were invented in either Europe or the United States. Of course, when the earliest universities were created in Europe, each called a studium generale, the United States did not exist. In fact, the Americas – the New World – had not even been discovered yet. The Old World comprised Africa, Asia and Europe. The term studium generale first appeared in the 13th century and referred to Medieval universities. Studia generale initially had four characteristics (1) they received students internationally (2) they taught the arts and had at minimum one of the higher faculties (theology, law or medicine) (3) masters provided most of the teaching and (4) a master with teaching experience and who was a member of the Guild of Masters of a studium generale was entitled to teach in other studia. Only the three oldest universities (Salero, Bologna and Paris) required outside teachers to take exams prior to offering them positions as Masters. 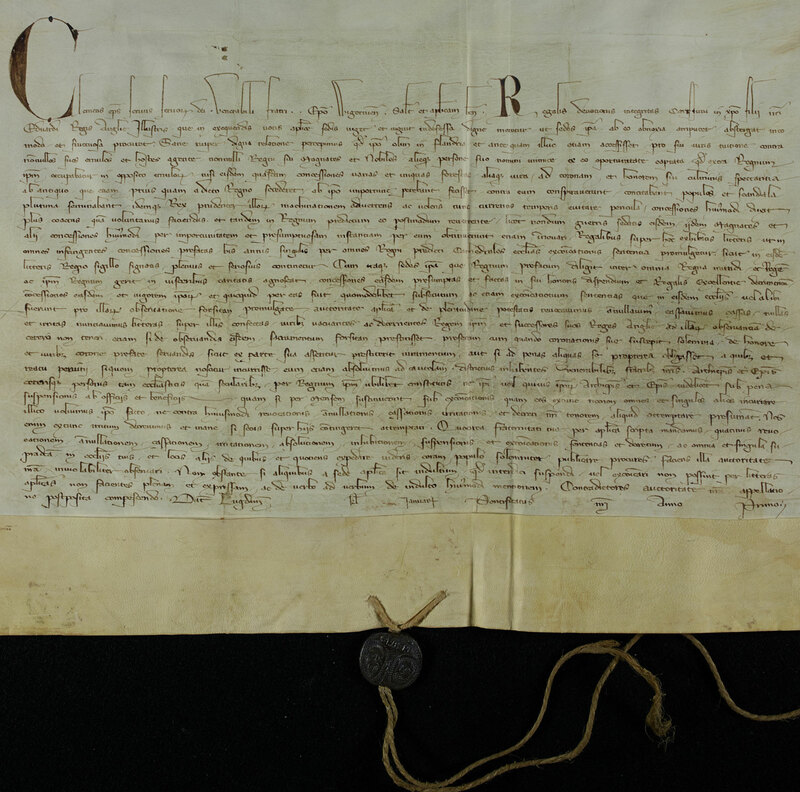 Later a papal bull given to universities conferred the right for masters of those studia generale to teach anywhere without the need for examination of the master. The concept of masters’ degrees and doctoral degrees come from this early institution. The earliest studium generale was established first in Italy and was a medical school in Salerno, Italy, called Schola Medica Salernitana. Next the University of Bologna was established in 1088 followed by University of Paris in 1150 which started as a Cathedral school of Notre Dame de Paris. While the University of Bologna taught civil law and cannon law, Paris mainly concentrated on teaching theology and philosophy. Paris educated many popes, royalty, scientists and intellectuals. Of course, certain other institutions predate the university including the monarchy, federations, kingdoms, trade, guilds, religion, teaching, the family, the tribe, the military and the judiciary. The universities of Paris, Oxford and Bologna can credit their origin to guilds of students and of masters. More importantly these studia generale provided a testing environment for approving masters, individuals that would educate future leaders of those societies and shape the ideas of accepted human conduct. Becoming a master was similar to becoming a member of a secret society or joining a guild. Most European and North America sources of reference diminish the contributions of other continents at this point and the impression is created that higher education did not exist before either Salerno, Bologna or Paris. As you can see, the earliest universities taught mainly five subjects: medicine, civil law, canon law, theology and philosophy. Did medicine, civil law, canon law, theology and philosophy originate in studium generale? Who taught the first master at either Salerno, Bologna or Paris? Did the Smith papyrus – a fifteen feet scroll dated to 1600 BC – not teach 48 medical procedures? Does the Code of Ur-Nammu (2100-2050 BC) not set out a legal code? Did the apostle Paul not call all scripture (the Tanakh) God-breathed, useful for teaching, rebuking, correcting and training in righteousness, so that the servant of God may be thoroughly equipped for every good work, and is philosophy not as old as the Homo Sapien? Every country in which these institutions existed was governed by a monarchy, including Italy, France, England, Spain and Portugal. Students of these studia generale became religious leaders, government administrators, military administrators, academics or merchants, but remained subjects to their ruler. If then, these were the subjects of study and the outcomes of learning, were studia generale not the result of both foreign imports and homegrown efforts in Europe? Although the Isidorian Renaissance, the Carolingian Renaissance and the Ottonian Renaissance all provided a gentle electric shock to Europe’s thirst for learning, the revival of interest in acquiring knowledge did not really start until the Renaissance of the 12th century. The sixteen studia generale previously mentioned were all established during 1088 CE to 1293 CE. What changed before 1088 CE? In either 970 or 972 CE, the Fatimids created the Al-Azhar university, to become a centre of Islamic learning. Students studied the Quran, Islamic law, grammar (Arabic grammar), astronomy, philosophy and logic. Apart from the Islamic focus, this is not very different to the topics taught in Bologna or Paris. The mission of Al-Azhar was to promote the advanced study of Islam. The Fatimids were a Ismaili Shia Muslim dynasty that ruled Egypt. What is noteworthy about this dynasty being Ismaili Shia – rather than Sunni – is that neoplatoism, logic and philosophy were valued. This led to a willingness to study Greek philosophy, mathematics, astronomy and medicine, alongside religious subjects considered important to Muslim students. The Fatimids invited scholars from neighbouring countries, and supported the proliferation of books on various branches of knowledge. The Fatimids were a successor state to the Umayyad caliphate of 661 to 750 CE. This earlier Islamic caliphate covered the area from modern day Spain in the West to India in the East. Under the Umayyads, Arabic had already become the official language of North Africa and the modern Middle East – the lingua franca. The introduction of one common language made it easier to disseminate and teach knowledge about philosophy, medicine and mathematics. At the time Al-Azhar university was created, the Fatimid caliphate covered modern day Algeria, Morocco, Tunisia, Libya, Egypt, Sicily, Palestine, Jordan, Lebanon, Syria, the Red Sea coast of Africa, Tihammah, Hejaz and Yemen. Trade reached as far as the Song Dynasty in China. At the time the Fatimid dynasty was ousted from Egypt in the 12th century by Saladin – founder of the Ayyubid Sunni Kurdish dynasty – studying Greek thought was not considered by him compatible with serious Islamic learning. At this point, Saladin ordered the destruction of between 120,000 to 2 million books from the library of Al-Azhar university. Many books were burned, thrown into the Nile, or thrown into a pile to be massacred by the elements. Yet one could easily have missed some important points. When the Umayyad caliphates expanded and ultimately disintegrated, it left in modern Spain the Umayyad Caliphate of Córdoba (929-1031 CE), also known as Al-Andalus, Muslim Spain, Muslim Iberia or Islamic Iberia. The expansion of the Umayyad caliphates provided motivation for Europe to unite under Charlemagne giving birth to the Carolingian Holy Roman Empire. The need for religious, government and military administrators to run the various regions within the new Holy Roman Empire created a demand for education. The Slavic people captured either by the Kingdom of Charlemagne or by Byzantium were sold as slaves to Muslims in Spain, North Africa, the Middle East or any other non-Christian state including the African interior via the Magreb. The word “slave” in many Europeans languages including English originated from the Slavic people sold by Byzantium and the Carolingian Empire. The slave trade in Medieval Europe of white European prisoners of war, sold to the new Muslim elite ruling the caliphates, provided money to buy literature, textiles and other goods. The competition from universities such as Al-Azhar university, the trade between Christendom and the Islamic states, and the literature made accessible to everyone once Arabic became more widely spoken and read, provided opportunities for scholars from Europe to re-discover Greek and Arabic works. These were translated into Latin and taught. This also explains why the Renaissance of the 12th century sparked ideas in theology, religious jurisprudence, medicine, civil law and philosophy. With Islam on the border, Europe was incentivised to convert more pagans to Christianity and train more administrators. The university of Al-Azhar has survived in excess of one thousand years due to remaining relevant to the Islamic world, adapting to learning needs, being willing to learn, support from the rulers of Egypt, expanding its curriculum to teach non-religious subjects, increasing its affiliation with other schools and educating as many people as possible. Al-Azhar has a library of seven million pages and has partnered with a Dubai information technology enterprise, IT Education Project (ITEP) launched the H.H. Mohammed bin Rashid Al Maktoum Project to Preserve Al-Azhar Scripts and Publish Them Online (the “Al-Azhar Online Project”) to provide online access to all its rare manuscripts. Al-Azhar university cannot take the credit as the first university in the world. Before the University of Al-Azhar was created, still an older institution the University of Karueein was founded in 859 AD in Fez, Morocco. Yet, even earlier, the Temple of Sais from the 26th dynasty of Egypt, other African temples and gymnasions (from the Greek noun γυμνάσιον) in classical Greece were taking students and teaching subjects that would have been considered Higher Education in their time. Greeks such as Plutarch, Herodotus (485 BC -425 BC) Plato (395 BC), and Diodorus Siculus (1st Century BC) mention Sais. The Rhind papyrus is still more ancient than Greek gymnasions and the Temple of Sais. Rhind papyrus was written in 1650 BC but came to light in 1858. Named after Alexander Henry Rhind, a Scottish antiquarian, who purchased the papyrus in 1858 in Luxor, in Egypt, the papyrus has reference tables and a collection of 21 arithmetic and 20 algebraic problems. The papyrus offers the solution of the problems that start out with simple fractional expressions. These simple fractions are then followed by more complex problems. The linear equations are also a part of the initial documentation of the papyrus. These have been taught to the students and the people who want to acquire higher degrees in the field of mathematics. Geometry or the mensuration problems are presented in the second book and miscellaneous 91 problems are presented in the third and the last book. Was its author not a master? And how was the author trained? Although modern Egyptians and Sunni muslims may only see Al-Azhar university as Sunni Islam’s most prestigious university, in existence to propagate Islam, and render edicts to settle disputes about proper Muslim conducts, its accomplishments cut across religious lines and it has contributed to mankind’s knowledge by existing for 1000 years and demanding intellectual competition from Christian educators for minds and hearts. Al-Azhar university was teaching theology, astronomy, grammar, logic and philosophy before the studia generale of Salerno, Bologna and Paris were created. It taught subjects considered advanced during the early Medieval periods, a hundred and ten years before the creation of the University of Bologna. Clearly, the idea that there was a first university is ridiculous. Although Africa’s earliest universities, the University of Al-Azhar and the University of Karueein, are older universities than Europe’s earliest studia generale. Previous Entry Is Kenya more generous than Australia?